As of Monday 3 November 2014 YMCA Outside School Hours Care (OSHC) will partner with Warrigal Road State School to provide Before, After and Vacation Care services to the school and local community. This will be the 26th service operated by the YMCA as a direct result of being identified as the preferred provider. 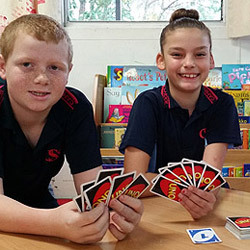 From 22 September 2014 YMCA and Gumdale State School will partner to provide the best Outside School Hours Care (OSHC) service to the local community. This partnership is a direct result of YMCA being identified as the preferred OSHC service provider for parents and children of Gumdale State School. Are you ready for YMCA Ratrace 2017? !